Laurel Canyon is an acoustic tribute to the music of Crosby, Stills, Nash and Young. 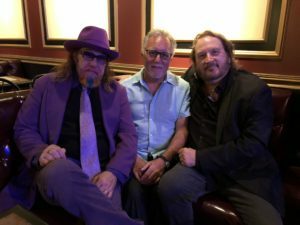 Featuring recreations of their seminal works as well as songs from their early bands and their solo years, Laurel Canyon is a trio consisting of Grammy Award winning writer/producer Mark Hudson, Hall of Fame Songwriter Gary Burr, and singer songwriter Mark Mirando. Come and hear all of your favorite CSNY songs lovingly recreated by three talented, true fans.